THERE are two kinds of obsessive record collectors: those who buy original pressings of rare old LPs because they’re rare and old, and those who buy them because they sound good. In the jazz world one record label has attained near-mystical status among the antiquarians and the audiophiles: Blue Note, especially the albums released in its heyday, from 1955 to ’67. Mint-condition Blue Notes from that era sell in specialty stores and online auctions for hundreds of dollars, and in some cases, a few thousand. Yes, they’re available on compact disc, but the CDs lack the LPs’ visual cool — the urban photos and silk-screen lettering on the hand-pasted cardboard covers — and fall far short of the first-edition vinyl’s sonics: the vibrant horns, wood-thumping bass, head-snap drums and sizzling cymbals. Lately a few audiophile companies have taken pains to recreate this golden-age experience. Working with the original master tapes and custom-built record-cutting gear, they’re reissuing classic Blue Notes on 12-inch LPs that are not only made of pristine vinyl but also mastered to play at 45 revolutions per minute. Since 45 r.p.m. is about one-third faster than the 33 1/3 r.p.m. of standard LPs, each disc holds one-third less music, meaning that the tracks on a single album have to be spread out over two slabs of vinyl. Both companies press these albums in limited editions of 2,500 per title. Music Matters has released 64 titles so far, with 116 more in the works. Analogue has put out 32. Each title sells for $50 (through direct order from their Web sites, musicmatters.com and acousticsounds.com). Fifty bucks may seem outlandish for a record album. But if your turntable cost a few thousand dollars, and your stereo system cost much more, it’s not out of line, especially since these reissues sound better than originals costing 10 to 100 times as much (when you can find them). “The Blue Note sound”, as devotees call it, was the creation of Rudy Van Gelder, an optometrist who, starting in the early 1950s, took off a day or two each week to record jazz musicians in his parents’ living room in Hackensack, N.J. Demand for his talents grew so steadily that in 1959, at the age of 35, he quit his practice, built a studio in nearby Englewood Cliffs and became a recording engineer full time. 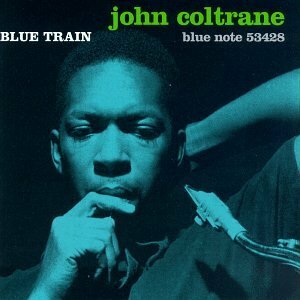 In 1994 Mike Hobson, who owned a high-end audio store in Lower Manhattan, approached Mr. Cuscuna with the idea of reissuing a series of Blue Notes on high-quality vinyl. Mr. Hobson, then 35, had just started Classic Records and was making vinyl reissues of RCA Living Stereo classical LPs, the originals of which were audiophile collectors’ items. Mr. Cuscuna helped Mr. Hobson select titles and arrange licensing rights. Classic’s first Blue Note reissues — famous titles like John Coltrane’s “Blue Train” and Cannonball Adderley’s “Somethin’ Else” — came out in 1996 and sold well enough to spur more. Initially he cut these LPs at 33 1/3 r.p.m. That was daring enough: CDs had reigned supreme for nearly a decade; most audiophiles figured vinyl was dead. Still, Mr. Hobson ultimately wanted to make 45s, and he cut some test pressings just to hear them. They sounded much better. The grooves on an LP are the music’s actual acoustic waves, etched on a master disc’s cutting lathe. A turntable’s cartridge traces those grooves; the signal, when amplified, reproduces the sound. On standard-speed LPs, however, some grooves, especially those representing very quiet sounds, are so tiny and so tightly curved that no cartridge can track them perfectly. As a result fine details — the full shimmer of a cymbal, the vibrating wood of a bass, the sense of real people playing in a real space — get a little bit smeared. In the mid-1970s a handful of small labels released albums of new music at 45 r.p.m. They never sold enough to generate even a minor trend, but they sounded amazingly vivid. In 1998 Mr. Hobson took a leap and released his first 45-r.p.m. reissues, starting with RCA Living Stereos. In 2000 he moved on to some Blue Notes. (The first ones were, again, the Coltrane and Adderley LPs.) He pressed only a few hundred copies of each. “And they didn’t exactly fly out the window,” he recalled. One problem might have been that he went too far. He’d heard tests in which single-sided LPs — with grooves on one side, a flat blank surface on the other — sounded better than two-sided LPs. (This may seem crazy, but it’s true; I’ve heard the same tests.) So he put out his 45s like that, meaning each album had to be spread out across not just two slabs of vinyl but four. “I figured if we’re going all out, let’s go all out,” he recalled. But these records were very expensive to make, and even audiophiles found them unwieldy. After hearing Classic’s 45s Mr. Kassem put out the first of 100 Fantasy albums in 45 r.p.m. (though on just two LPs per title, not four), in editions of 1,000, for $50 each. About half the titles sold out. Around this time Ron Rambach and Joe Harley started thinking about joining the game. Mr. Rambach had run the archive for Leon Leavitt, the world’s largest purveyor of rare jazz records. Mr. Harley was (and still is) vice president of a high-end audio manufacturer, AudioQuest, and had produced some jazz records on the side. Both were passionate about Blue Note and decided they’d reissue only Blue Note albums. Initially they were going to put them out at 33 1/3 r.p.m., but after they heard Mr. Kassem’s Fantasy 45s, they knew they had to match that sonic standard. They took the competition up a notch by meticulously recreating the Blue Note album covers, matching the Pantone colors and the 3-mil laminate lettering, even using the original photos rather than simply taking a digital scan. And rather than putting each of the two discs inside one record sleeve, they made gatefold covers and filled the inside spaces with fine reproductions of the famous photos that Francis Wolff took at the recording sessions. In the meantime Mr. Kassem has moved on to reissuing 45-r.p.m. LPs from the Verve and Impulse jazz catalogs. Kevin Gray, of RTI and AcousTech, who masters LPs for Analogue and Music Matters, and for several larger pop-music labels, is cutting more vinyl now than at any other time in his company’s 15-year history, he said. Last year 2.5 million LPs were sold nationwide, up from 1.9 million in 2008 and 990,000 in ’07. These figures amount to less than 2 percent of the music market, but they’re at their highest level in two decades.